On average customers search 9 websites before buying a product. In the Travel industry, this number even goes up to 40 sites, over a 6-week period before choosing their getaway¹…. Our solution captures email addresses when the customer enters it on the website - even if he doesn’t complete the transaction. Once a valid email is captured and the customer abandons without completing its transaction, we send a fully branded and personalized email to the abandoning user within 1 hour after he leaves the page. We can also do email cascades sending a 2nd and 3rd email, a couple of days or week later if the customer hasn’t converted in the meantime. 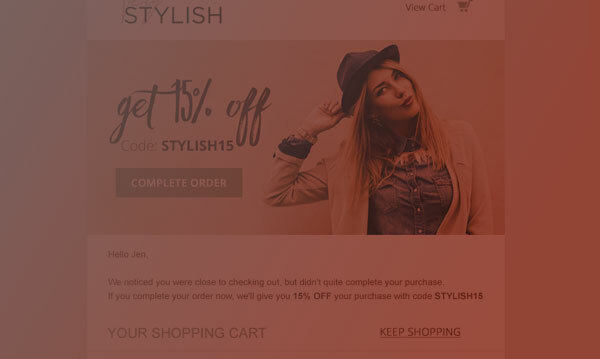 This email will include the products the customer had in his cart, and will offer an easy option to return to your site and the client’s cart to finish its purchase. Our solution can insert captured data from the customer journey into the subject line or body of the email. Cybba worked with Autogeek - a multi-million-dollar, niche company specializing in award-winning B2C car-care products - on implementing a full funnel solution with: SEM, Onsite Engagement, Email Remarketing and Display Retargeting. Autogeek needed a way to encourage purchases while also making its efforts more efficient, by reducing customer abandonment through the different stages of the buyer’s journey. 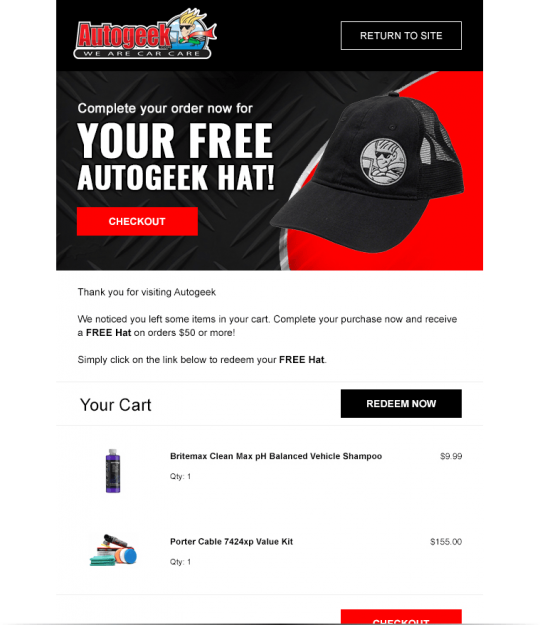 On the Email Remarketing site, in order to keep Autogeek’s products top of mind, Cybba launched a series of follow-up and reminder emails to specific customers regarding their abandoned items 30 minutes, 24 hours, and 48 hours post abandonment. A customer would not receive later emails if they interacted with an earlier one. 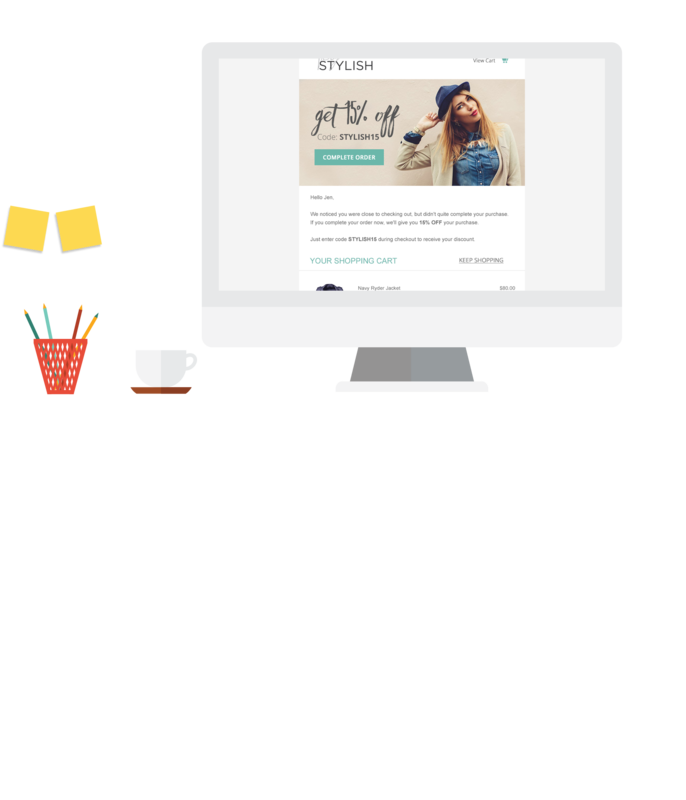 Cybba also offered exclusive promotions in its remarketing emails with a strong CTA for customers to complete their purchases. These promotions were unique to each customer and included bookmarked products—the products a customer had in their basket when they abandoned the site.